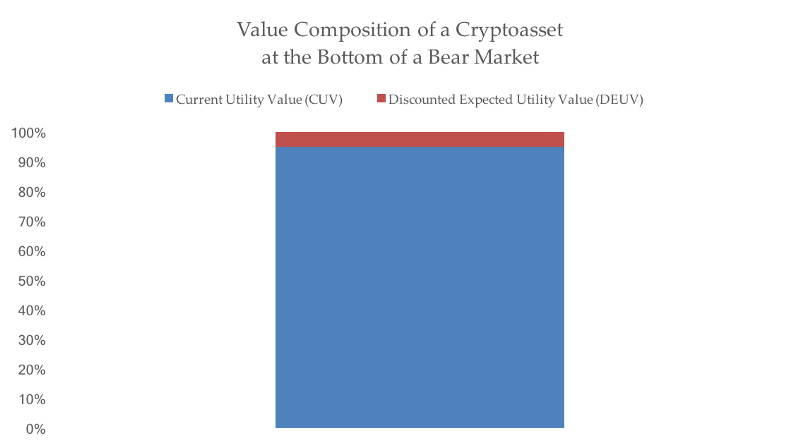 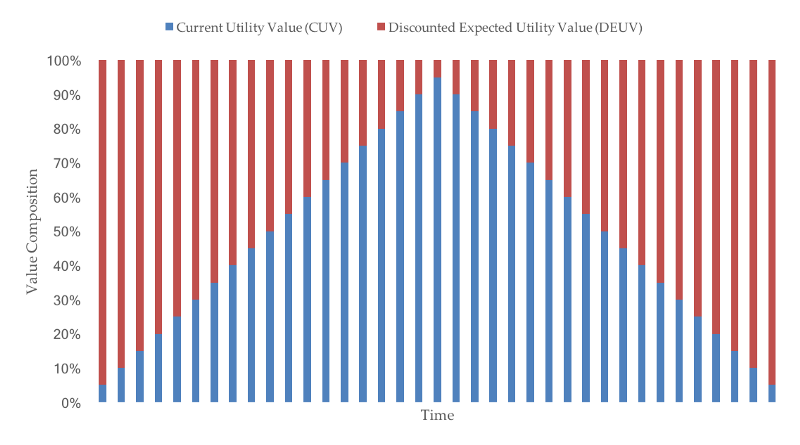 Note that in the above image, “High % DEUV, low % CUV” refers to the percent composition of the price, not an absolute value. 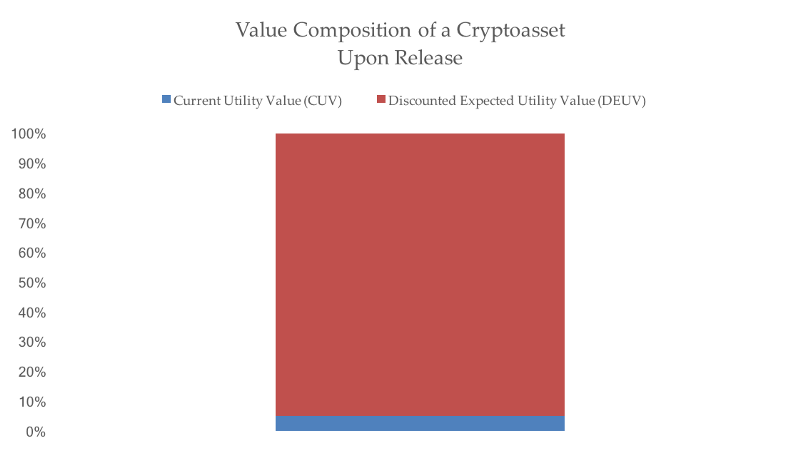 From my workvaluing different cryptoassets, it’s not uncommon for the value composition to look something like the below during early days. 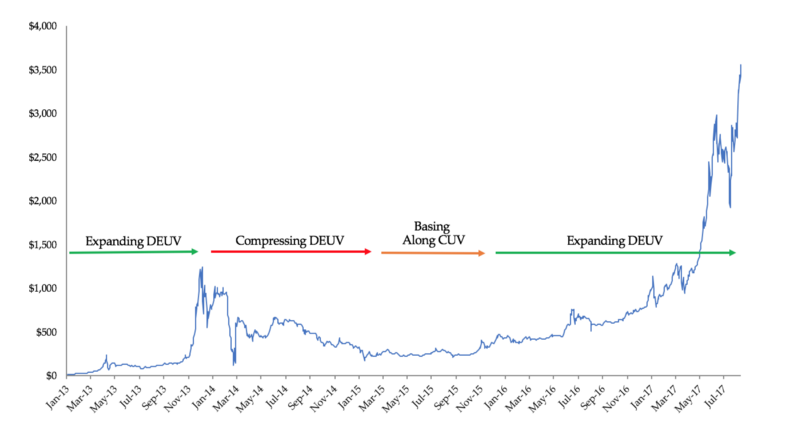 Initially inflated price, initially inflated DEUV. 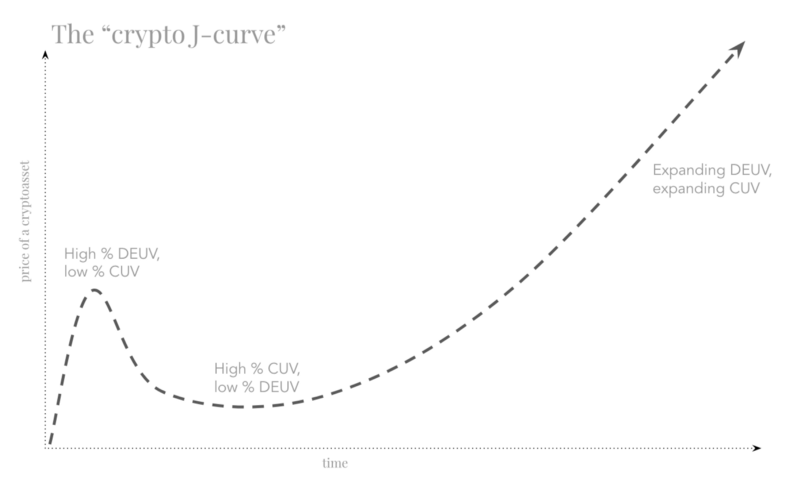 Thanks to Joel Monegro, Cathie Wood, Brett Winton, and Stephen McKeonfor helping me think through different aspects of the crypto J-curve.